Following the success of a 3-year partnership with South African businesswomen Balungile Masuku and publishers More Maximum Media with respect to the development of Maritime Economics textbooks for learners in Grades 10 to 12, AMSOL has again partnered with Mrs Masuku to introduce a unique Maritime Educator & Learner Programme. For AMSOL Managing Director Paul Maclons, the project is of strategic importance to the company and the industry: “Sponsoring this important initiative ensures that we are supporting the company’s goal in sustaining a talent pipeline of maritime professionals”. Mrs Masuku, who is well known in Durban, South Africa for her commitment to maritime education, was selected to study at the World Maritime University in Sweden and attained her Master of Science (Maritime Education & Training) in 2011. Since returning to South Africa, she has devoted time to supporting educators and learners in the maritime education space at both secondary and tertiary levels, always going the extra mile and displaying a personal commitment to the promotion of the maritime industry. 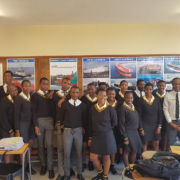 The new programme introduced in 2018 is based on a close partnership with 3 schools in the Umlazi District in Durban that offer Maritime Economics as a Matric subject. The schools include AJ Mwelase Secondary School, Zwelihle Senior Secondary School and Mhawu Secondary School. Educators at these schools who do not have formal maritime education training will complete a ‘Fundamentals of Shipping’ course at Durban University of Technology to ensure that they are equipped with the knowledge required to teach Maritime Economics as well as Nautical Science to the High School learners. For the learners, extra holiday programmes and Saturday support classes have been rolled out so that they have a good foundation of knowledge and are engaged with the learning material. “The Maritime Economics Educator has already observed an improvement in learner’s performance. Learners now display a better understanding of the Maritime Economics content”, notes Mhawu Secondary School Principal Mr Mbhele. 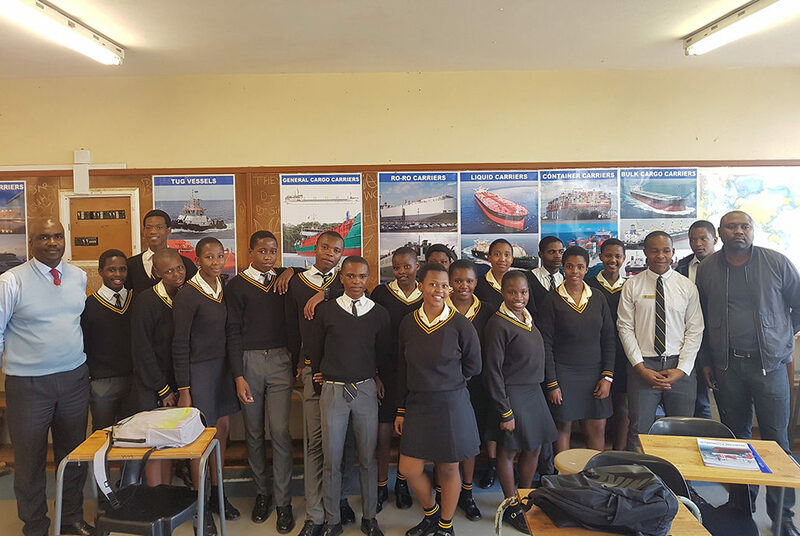 This year AMSOL has also partnered with Sithengile High School as well as Lawhill Maritime Centre in Cape Town to offer extra Mathematics and Science lessons for Maritime Economics and Nautical Science learners to ensure that they are best positioned to perform successfully and secure access to tertiary studies.